Product prices and availability are accurate as of 2019-04-20 09:01:27 UTC and are subject to change. Any price and availability information displayed on http://www.amazon.co.uk/ at the time of purchase will apply to the purchase of this product. 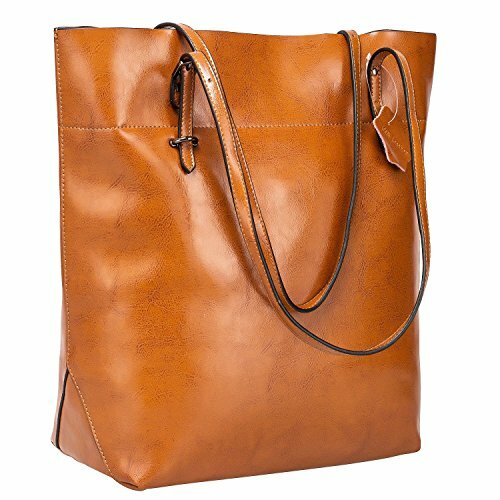 Material: Cow Split Leather with Coating Finish Cow Split leather is often coated to be various colors and pattern.It is moderate genuine leather,soft and anti-scratch. 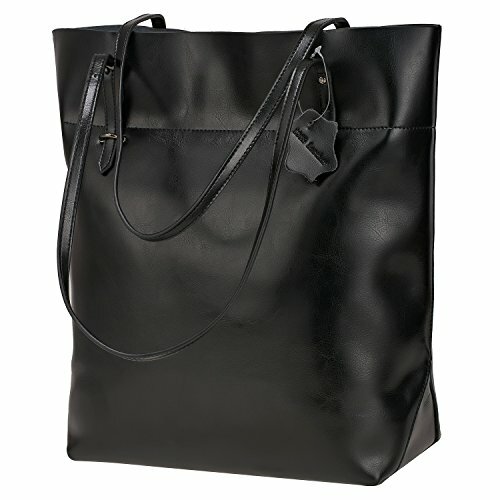 To creat a vintage and noble look,the leather is often polished and oiled,which makes the surface shinier and sleeker. The more you use,the more retrospective it will be. It may have natural odor at first,but the smell will fade awayafter a couple days' airing out. Cow split leather comes from a cow skin, genuine leather,and is harmless to human body and way too much durable than vinyl while vinyl is all made of chemical material and irritating to human. S-ZONE is a brand that specialized in leather bags,and has been very picky from materials selecting to detail craftsmanships. Every bag you received has been through hundreds of procedures to ensure its excellent quality. Dimension(L x W x H): 30 x 16 x 34CM / 11.81 x 6.29 x 13.38 Inch, Handle height: 30CM (long enough to put on shoulder), Weight: about 0.77KG. Materials: Genuine split cow leather. 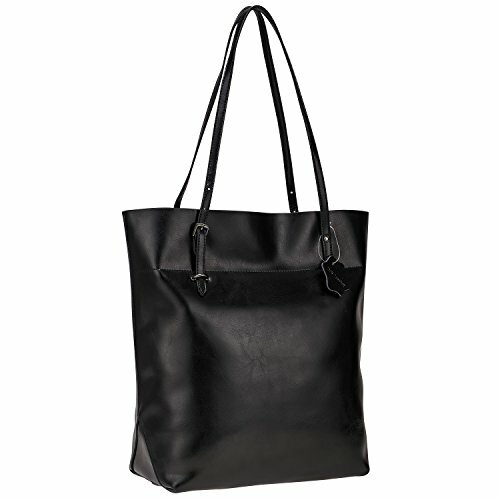 High quality metal hardware and nylon lining. Closure Type: top zipper closure. Double top handles with one side can be adjusted. 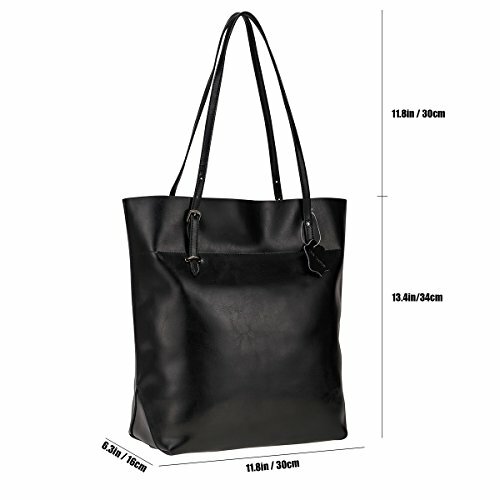 This leather bag comes with 2 generous main pockets, 1 inner zipper pocket and 1 invisible pocket. Phone slot and card slot. 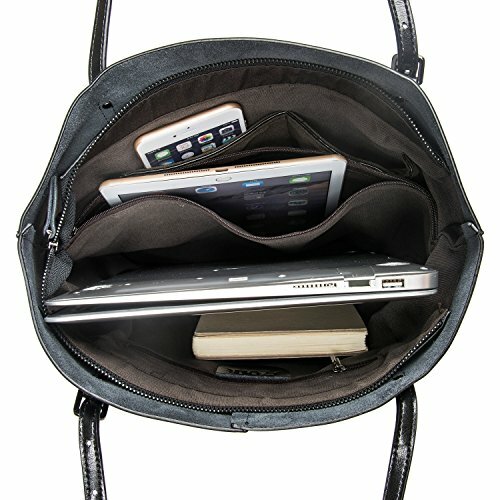 Easily hold a 14" laptop, 13.3 inch MacBook Pro, IPAD, A4 paper, umbrella and other daily things. 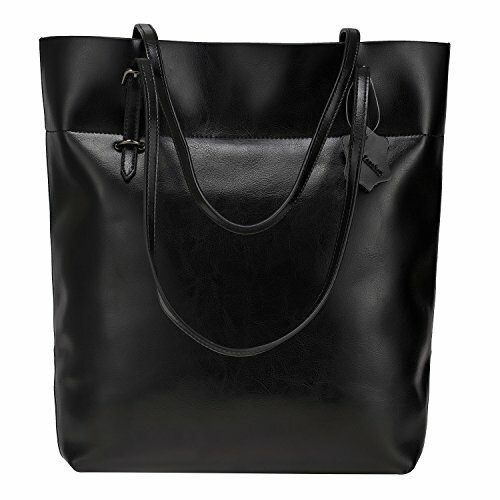 This bag has a zippered pocket in the back. Simply designed, perfectly show your personality. Never go out of style. Have 4 colors, all kinds of color are beatiful and fashinable, which suitable for you in dinner party, shopping or gathering.